As the conflicts in Iraq and Afghanistan wind down, waves of Service members from North Carolina are making happy reunions with their loved ones back home. But the joy can be short lived once the realities of readjustment into everyday life begin to sink in. 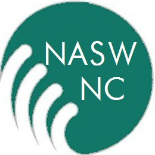 So the National Association of Social Workers-NC Chapter is partnering with Army OneSource on a campaign to provide free online continuing education training to NASW-NC members. Four courses developed by the Center For Deployment Psychology will be offered beginning March 6 through April 24. The courses cover military culture, the impact of combat stress and deployment on children and families and PTSD. Beginning March 6, NASW-NC members will receive a series of emails, which provide information about the challenges facing our military and easy access to these online courses. The campaign will also be promoted through LinkedIn, Twitter and Facebook. NASW-NC is asking its members and other local behavioral health care professionals to participate in this important and timely training opportunity. “The more we can understand military culture and the unique problems their families face, the better we can help our Service member’s transition to a happy life here in North Carolina”, Kathy Boyd added. Training is FREE, online and accredited by the ASWB. If you are a North Carolina behavioral health professional or if you know one, please sign up for this important training opportunity and help bring our local heroes the rest of the way home. Click here to sign up for this important training. I have all the necessary qualifications and experience. The problem is the “phone software” they use is not compatible with macs. They require providers to have PC availability. I will ask about that on the conference call I have with Army OneSource tomorrow and see what they say! Thank you for letting me know! This entry was posted on February 25, 2013 by naswnc in Blog Posts by Topic, Membership, Professional Development/CE and tagged Army OneSource, continuing education, free continuing education, military social work, NASW-NC, National Association of Social Workers, reintegration training, servicemembers, social work north carolina.